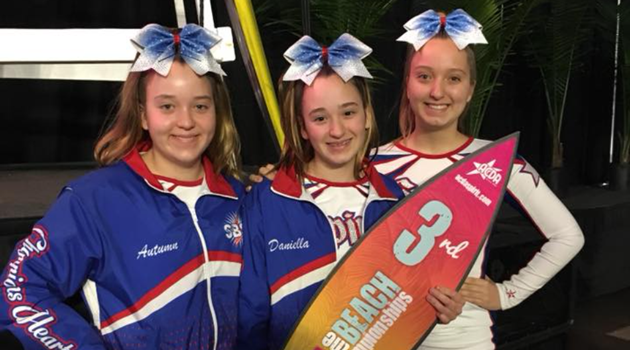 8th graders Autumn, Daniella, and Tiffany Perrelli competed at the “Reach the Beach” National Cheering Competition in Ocean City, Maryland. The girls along with their team placed 3rd overall. Congratulations!